A six-year-old girl is found dead, hanging from a tree in the woods. She has a backpack and a tag around her neck saying: “I’m travelling alone.” Police Investigator Holger Munch gets assigned to the case. 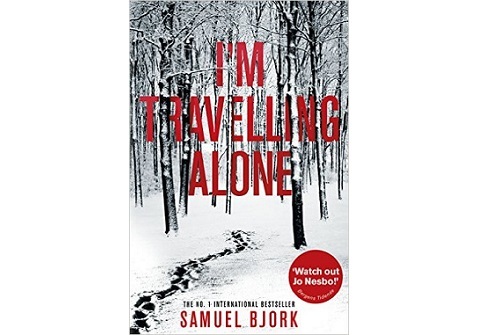 The former investigator Mia Krüger now lives at a secluded island in the Norwegian archipelago and is planning to kill herself. Holger Munch realizes he needs her help and convinces her to return to Oslo. Mia discovers something the others have missed; the dead girl has the number one carved into her fingernail. That means more children’s lives are in danger. Mia Krüger’s twin sister is dead and Mia has lost her will to live. She killed the man she held responsible for the sister’s death, but it did not heal her wounds. Mia is a very troubled person, but her intuition is invaluable for the Oslo Police. In some ways she is very similar to Lisbeth Salander. But in this novel the newly hired Gabriel Mørk has the hacker skills instead. Together with Holger Munch they get closer to the killer and the investigation gets dangerous and personal. The novel is really good but could have been even better. There are several characters and red herrings that could have been used differently. Children disappear/get murdered, which is horrible, but I do not get that knot in my stomach that you would have expected. Despite that I really like the novel and look forward to the next one in the series.